Summer, that delightful time of year when the sun is shining and the beach is calling your name, is just around the corner. Just thinking about those vacation days spent reading in hammocks and sipping on fresh lemonade has us smiling. 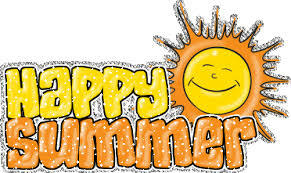 In preparation, we’ve come up with the top five reasons Summer is the ultimate smile season and why there’s no better time to make an appointment to get your pearly whites ready for their close-up! Talk about moments immortalized forever. Whether you’re the, bride, the groom, or a guest, you’ll surely want to get your smile camera ready. “I wish I had more time to read.” If you’ve ever uttered these words than you know summer is your chance. More free time equals more opportunity to escape into those books patiently awaiting you on your nightstand. Bound to make you happy! Of all the places you’re sure to find a bevy of smiling faces, the beach would be top of that list. A place to relax, play, contemplate, and simply breathe deep, warm sands and flowing waters are a key part to any happy summer. One of the first things to spring to mind when you think of Earth Day is probably not healthy teeth. But really, there is no more perfect time to introduce your kids to the wonders of gardening and growing your own food. 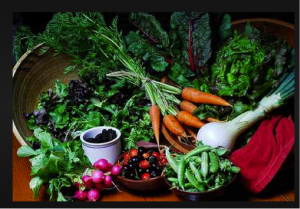 Start by planting some veggies that are good for both your teeth and your body. Two excellent options are carrots and celery. These hard, fibrous vegetables do much to stimulate the gums and, as we know, strong, healthy gums are super important to maintaining healthy teeth. With their high beta carotene content, which your body needs to create vitamin A, they contain the nutrients essential for healthy tooth enamel. Carrots also act as natural abrasives, helping to eliminate dirt and plaque, as well as triggering a lot of saliva, which helps to scrub away stains on your teeth. Packed with vitamin A, vitamin C, beta carotene, phosphorus, calcium and magnesium, leafy dark green vegetables, such as, lettuce, kale, broccoli and spinach, are another great route to a happy, healthy mouth. Because phosphorous is stored in the teeth (and in your bones), these minerals are instrumental in helping your body maintain balance. Furthermore, you should end every meal by chomping on some raw fruits and vegetables as their high water content naturally helps keeps your teeth and gums clean. 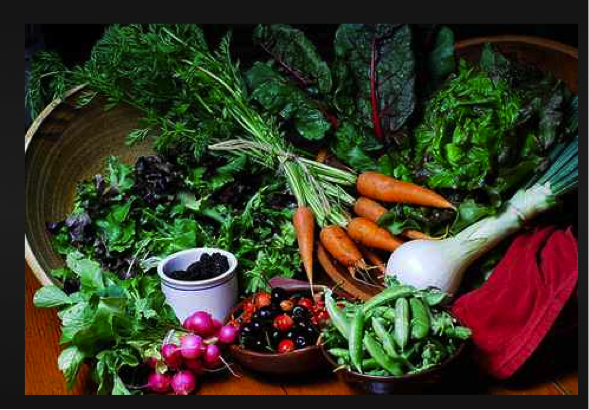 So, this Earth Day, plant some yummy vegetables to fill your tummy and brighten your smile! If I switch to green tea from coffee, will it reduce teeth stains? While switching from coffee to green tea may require the same amount of scrubbing by your hygienist to remove stains, we’ll just say that stained teeth are better than no teeth! According to a 2009 study, drinking at least one cup of green tea a day increases the odds of keeping your teeth as you age. In addition, a daily cup of green tea can also offer protection against gum disease, helping to decrease both gum recession and bleeding. The researchers suggested that the antioxidants found in green tea may be responsible for slowing down the effects of gum disease, as well as helping lead to a lower instance of periodontal disease. It is believed that antimicrobial molecules called catechins present in green tea are what provide the benefit. Catechins have been shown to kill mouth bacteria associated with tooth decay and gum disease. If that’s not enough encouragement, drinking green tea may also lower your chances of oral cancer. 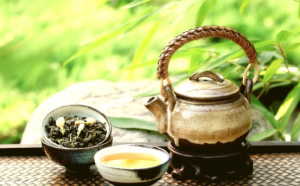 By analyzing the results of 19 recent studies, a 2014 meta-analysis found a significantly lower risk of oral cancer among participants who drank green tea. Be sure to leave the sweeteners in the cupboard! It’s the perfect time to start teaching your kids about great brushing habits that will last a lifetime. It’s also an excellent opportunity for parents themselves to learn more about the paramount importance of good dental hygiene. For example, did you know? 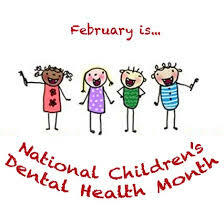 Children in the U.S. miss more than 51 million hours of school every year due to dental issues. Tooth decay – while entirely preventable- is the most common chronic disease in children. About 17 million children go without dental care each year. And since maintaining optimal dental health all begins with proper brushing here are five great tips on how to make taking care of those peepers fun for you and your little ones! Get your child a cool toothbrush that he or she is excited to try. You may be able to do the same with toothpaste too, depending on what your child likes. There are plenty of children’s toothbrushes out there made to look like Disney characters, race cars, dinosaurs, and more. Let your kid come with you to the store to pick out his or her toothbrush. Remember that little line from Mary Poppins? “In every job that must be done there is an element of fun. Find the fun and *snap*, the job’s a game!” A simple “I wonder if I can brush my teeth better than you” might get your kid amped to try! Set up a Rewards System We’re not suggesting that you pay your child to brush his teeth. However, you might set up some sort of rewards system that directly connects to dental care. Maybe your child will get to stay up an extra 30 minutes if he brushes his teeth and takes a bath before bed. Maybe 30 days of constant brushing will lead to some sort of big prize. The reward itself is entirely up to you, but try to come up with an incentive for your child to strive for. Have you heard? The evil plaque monsters are invading Smile Kingdom, and the only way to get rid of them is to use the powerful Brushomatic 9000. Sounds like fun, right? All it takes is a little story line like that to get your kids to see dental care in a new light. It’s not just good oral hygiene – it’s an action adventure film brought to life. When all else fails, make an effort to lead by example. Show your children that brushing their teeth is a key component to a healthy life. Your kids naturally want to be like you, so you might as well take advantage of that. Spend some quality time with your children and show them the benefits of a bright, healthy smile. Schedule regular cleanings at the dentist! Along with practicing great oral hygiene at home be sure to take your kids to the dentist for regular check-ups and cleanings, insuring they’ll always be proud of their radiant smiles! Call us whenever you’d like at 831-424-0881 or schedule online! My tooth hurts when I drink something cold. Why? If eating your favorite frozen yogurt or sipping a cup of ice water makes your tooth hurt, or if brushing or flossing occasionally makes your eyes twitch, you may have what is known as tooth sensitivity. When the tooth’s hard enamel wears down or gums recede, the microscopic tubes that lead directly to the tooth’s nerve are exposed and cause discomfort when you chew, drink hot or cold liquids, or even when you breathe through your mouth. Possible causes of sensitive teeth range from tarter control toothpastes or tooth whitening agents to gum disease and tooth decay. One of the most common causes is acid exposure on teeth from the consumption of soft drinks, candy, cough drops, sports drinks, and sour candies, all of which can eat away at the protective tooth enamel. The good news is that sensitive teeth are very treatable. At no charge, we will give you a quick exam to determine the likely cause of your tooth sensitivity and best solution for your unique situation. We pride ourselves in assessing the best course treatment for each of our patients and avoiding unnecessary procedures. You can request an appointment online or call us at 831-424-0881. Be sure to let us know you are coming in to check a tooth sensitivity. Since there are many causes of tooth sensitivity, it is wise to have it checked by us to ensure there are no serious concerns, such as decay or a tooth with a crack. Decay may require a restoration, such as a crown. A cracked tooth may require a crown to be fixed, but if the hypersensitivity is severe, persistent, and cannot be treated by other means, a root canal may be recommended. Thankfully, the most common causes can be treated by simple measures you can do at home.